College Football Week 4 Preview - Who Is Ohio State's QB? College Football Week 4 Preview — Who Is Ohio State’s Quarterback? Who Is the Long-Term Answer at Ohio State? As soon as the last piece of confetti fell following last year’s national championship game, the biggest question in football immediately became the quarterback battle at Ohio State. In fall camp, Braxton Miller lessened some of the drama by announcing he was moving to wide receiver. But that still left J.T. Barrett and Cardale Jones, both of whom were proven winners for the Buckeyes. When Jones got the Week 1 start, most of us assumed the battle was over and the Buckeyes would roll on from there. But a funny thing happened on the way to the Big 10 championship. Jones, the hero of last year’s playoff, has started all three games but has looked lackluster, throwing for just 334 yards (56.5 completion percentage) with two touchdowns and three interceptions. Buckeyes coach Urban Meyer pulled Jones after his second interception against Northern Illinois last week and replaced him with Barrett, who was only marginally better (11-of-19 for 97 yards, one touchdown and one interception). Wednesday evening, Meyer announced Jones would start again this week against Western Michigan, but it was hardly a ringing endorsement ("He is the guy, unless he doesn't perform well"). While the Buckeyes have enough talent to win with a two-quarterback system, you have to think this week-in, week-out uncertainty can’t do much good for team chemistry. Can the State of Alabama Recover? It was a rough week for the SEC as a whole, but nowhere more so than in Alabama. The Crimson Tide lost at home to No. 15 Ole Miss, its first home loss since dropping a 29-24 thriller to Johnny Manziel and Texas A&M in 2012. Fortunately for them, Nick Saban and company should be able to regroup this week against Louisiana-Monroe (assuming they’re not already looking ahead to next week’s match-up at No. 7 Georgia or that history doesn’t repeat itself). The job might not be so easy for archrival Auburn. After struggling in an overtime win against FCS club Jacksonville State, the bottom fell out for the Tigers in last week’s loss to LSU. After being considered a potential playoff team by many, Auburn’s defense has gone in reverse, ranking 92nd in scoring defense and 124th nationally against the run. And they've been just as bad on offense (114th in total offense and 88th in scoring), prompting head coach Gus Malzahn to announce that he was benching quarterback Jeremy Johnson in favor of redshirt freshman Sean White. Things have gotten so bad, it’s starting to impact people’s love lives. I’m not quite as ready to jump ship on Auburn as some are — they have a tough, but winnable, stretch coming up (Mississippi State, San Jose State, at Kentucky and at Arkansas). So there is still time to right the ship. But if they can’t figure it out by Halloween, things could snowball into a nightmare really fast with a schedule the final month that includes No. 3 Ole Miss, No. 14 Texas A&M, No. 7 Georgia and No. 12 Alabama. Someone please keep a close eye on Tammy. What Will This Week Tell Us About the Pac-12? In the biggest game of the week, No. 16 Arizona vs. No. 9 UCLA, both teams are unbeaten but are not without question marks. Despite the stellar start of freshman phenom quarterback Josh Rosen, the Bruins had to come from behind in the final minutes to eke out a one-point win last week against BYU, while Arizona has yet to play a Power 5 school. These two schools have represented the Pac-12 South in two of the last three title games and could position themselves to make a return appearance. No. 19 USC will look to rebound from its first conference loss against an Arizona State squad that was picked by many to win the conference but is still regrouping after being blown out by Texas A&M in Week 1. Nobody talked much about Stanford coming into the season, but a victory at Oregon State Friday night would put the Cardinal in an early 2–0 spot in conference play. 3–0 Cal hasn’t won in Seattle since 2005, so this week’s matchup at Washington will be interesting to watch. Which Bears team will show up — the one that outscored its opponents 153-45 through the first two-and-three-quarter games of the season? Or the one that gave up 20 unanswered points in the fourth quarter and needed a miracle to avoid overtime against Texas last week? No. 18 Utah has pulled upsets along the way but is still looking for that signature win that marks its entrance as a player in the Pac-12 race. They could get it this week at No. 13 Oregon in game with big implications for both divisions. None of these games will obviously decide the Pac-12 race in September, but they could well set the tone for an eventual conference-title run. Will the Injury Madness Never Stop? Injuries are part of the game, I get that. But I honestly can’t remember a year in which we’ve had so many major injuries to star players this early in the season. On Wednesday, UCLA coach Jim Mora announced linebacker Myles Jack, a pre-season All-Pac-12 first-teamer, would miss the rest of the season with a knee injury. This comes just days after the Bruins also lost starter a three-year starter and another all-conference pick, cornerback Fabian Moreau, to a season-ending foot injury and just two weeks after defensive tackle Eddie Vanderdoes tore his ACL in the season opener. The Bruins’ injuries are just the latest in a string of bad breaks for star players. Notre Dame has been hit worse than most, losing six key players including its starting quarterback (Malik Zaire) and running back (Tarean Folston). But the Irish are certainly not alone in losing big-name players. For example, BYU quarterback Taysom Hill, who some thought could be a dark-horse Heisman candidate, suffered a career-ending foot injury in the Cougars’ Week 1 win at Nebraska, and Pitt running back James Conner, the defending ACC Player of the Year, was also lost for the year with a torn MCL. Those are just some of the 130-plus players currently sidelined, and while last year’s Ohio State team showed that it is possible to overcome significant injuries to key players, it is certainly going to make the season much more difficult for a lot of teams. 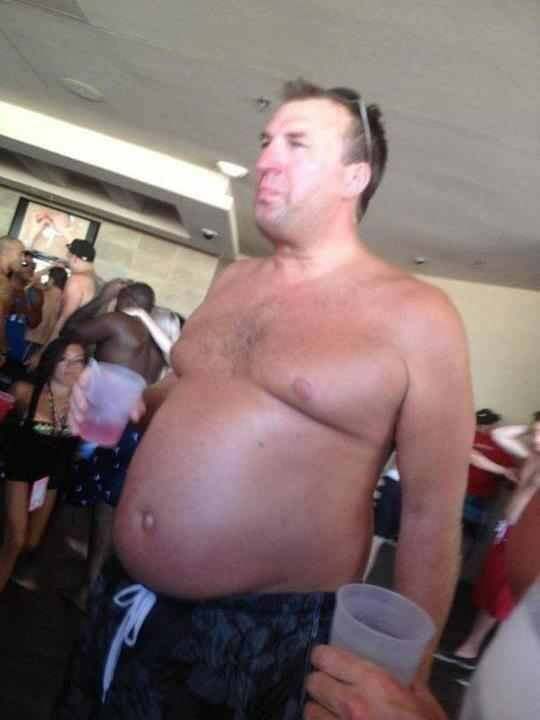 Will Karma Keep Kicking Bret Bielema While He’s Down? If you’re a sportswriter, Bret Bielema is the gift that keeps on giving. Win or lose, you can always count on the Arkansas coach to do or say something outlandish you can write about. So it was all in good humor when we had some fun at old Bret’s expense in Week 2 when, after belittling Ohio State’s strength of schedule earlier in the week, his Arkansas squad lost at home to Toledo. But where most coaches would’ve eaten their crow and moved on, Bielema doubled down, reminding everyone that, because of their strength of schedule, a one-loss SEC team could still win a championship — even if that loss was to Toledo. Of course, karma came back to remind him of that statement again this week after the Razorbacks lost to Texas Tech. But did that stop coach Bret? Not at all! Third time’s the charm, right? This time, Bielema let himself get suckered into a war of words with Tech coach Kliff Kingsbury. What started as an argument over style of play (smash mouth vs. spread) quickly devolved into a “my dad can beat up your dad” playground argument played out in the media. Did Kingsbury provoke him? Sure. But Bielema has never been known to back down, particularly to anyone he considers inferior. And that’s almost everyone. And that’s why we love you, coach. Never change. Source: College Football Week 4 Preview — Who Is Ohio State’s Quarterback?